People Magazine announced their choice for “Most Beautiful Person.” Not surprisingly, the “award” went to Lupita Nyong’o, the willowy, exotic beauty who won the Best Supporting Actress Oscar, this year, for her part in 12 Years a Slave. If you saw the movie, you know that her beauty is not just physical, although that is an unchallenged fact, but that she also conveys strength, intelligence, and power in her acting. However, you might be surprised to know that, as a child, Ms. Nyong’o prayed, each night, for lighter skin because she felt that her beautiful dark skin made her unattractive by television and film standards in her native Kenya. Perhaps the question to ask ourselves is how we can teach our girls and young women that exterior appearance is not all that constitutes beauty. The media sends a horrible message to young girls when an actress must be airbrushed to be seen on the cover of any magazine. Young, talented women like Mindy Kaling, Lena Dunham, and Kat Dennings have all taken individual stands about loving themselves as they are, but fire fights break out when they are featured on the covers of magazines like Elle, Vogue, and Glamour, swamped in trench coats or shown with only a head shot while thinner models are featured with barely more than their skin. If you have a daughter, I’d like to direct you to two websites that are outstanding in their portrayal of role model women and girls, both current and historical, who show beauty through strength, courage and action. The first is called A Mighty Girl. This site shows, not just biographical portraits of female heroes, but also has subject specific book lists and media lists that reinforce positive images of girls and women. The other site is the project of comedian Amy Poehler and is called, Amy Poehler’s Smart Girls at the Party. You can connect with this site through Facebook and get daily reminders of the accomplishments of women throughout history. It is refreshing when women like Amy Poehler, known for their comedy, take seriously their responsibility to educate the next generation of girls as to how women have forged accomplishments and how much further there is to go. Another site I subscribe to is Women Hold Up Half the Sky. Be sure to watch the four-hour PBS special produced by this organization about empowering young women who have been tortured and enslaved throughout the world, to become educated and independent so that they can recognize their own potential. 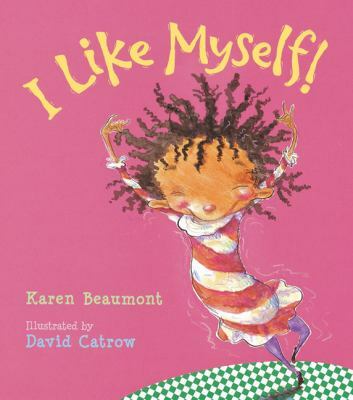 I Like Myself, by Karen Beaumont. A curly-haired, African American moppet displays unharnessed joy at the beauty that comes from within her. Whether she is goofy, giggly, or warty, she is true-to-herself and exuberantly happy about who she is. Ages 3 to 7. 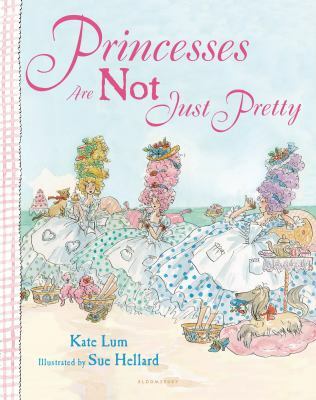 Princesses Are Not Just Pretty, by Kate Lum. Three princesses argue over who is the most physically beautiful, and decide to have a beauty contest to determine the winner. But along the way they get side-tracked with mud fights and helping others, and change their contest to who is the muddiest, messiest, and dirtiest. A great anti-princess book. Ages 4 to 8. I’m Gonna Like Me: Letting Off a Little Self-Esteem, by Jamie Lee Curtis. Jamie Lee Curtis knows a thing or two about beauty, having been labeled “The Body,” during her early career. However, recently she has made a career of being one of the few “celebrity writers” who can actually write a credible kids’ book. This book sends messages of affirmation to kids, letting them know that they can like themselves even when they get an answer wrong in school or dress with peculiar and unique taste in clothes. 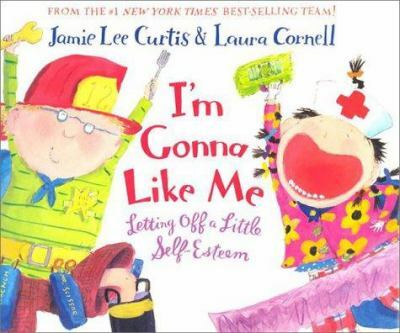 The concluding thought is that, “I’m gonna like me ’cause I’m loved and I know it, and liking myself is the best way to show it.” A wonderful testament to self-love and self-acceptance with Laura Cornell’s adorable illustrations. Ages 4 to 8. The List, by Siobhan Vivian. What school would permit a list to circulate of girls rated from prettiest to ugliest? At Mount Washington High School, “The List” is a several year “tradition,” and the girls who appear at the bottom of the list are deeply affected by it. This book takes on several important issues for teenage girls: sisterhood, relationships, femininity, eating disorders and what it means to be singled out in a negative way. 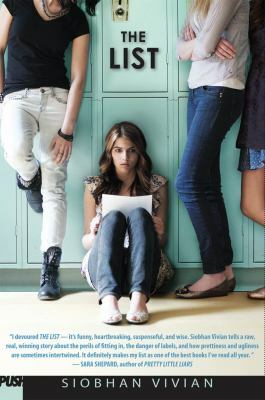 An excellent book for young women to read and discuss as the characters are accessible and relatable. Ages 13 to 18. 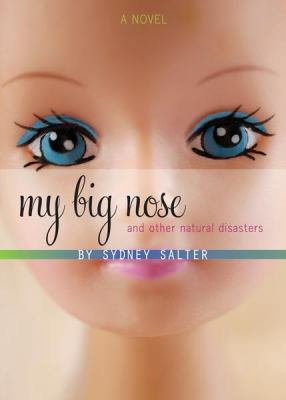 My Big Nose and Other Natural Disasters, by Sidney Salter. Jory Michaels comes from a notably beautiful family and she feels that she doesn’t fit in. During one notable summer, her friends go out to discover their passions while Jory takes a job to earn money to get plastic surgery. While Jory’s Adonis older brother and overly beauty-conscious mother are a bit stereotypical, Jory fights with some real beliefs that young women have that if they could just artificially fix an oversized nose or an undersized chin, everything in their lives would fall into place. Ages 13 to 16. Beauty Queens, by Libba Bray. If Lord of the Flies met Survivor and the Miss America Pageant, the result would be this enormously funny and satirical book. A planeload of beauty queens are on their way to the Miss Teen Dream Pageant when their plane crashes. Miss Texas uses her wealth of survivor skills to lead the group while insisting on regular rehearsals for when they are saved. Miss New Hampshire is a stealth candidate, a journalist who is planning an expose of the whole beauty-vs.-feminist theme, but finds herself sucked into the pageant lifestyle. Miss New Mexico has a serving tray embedded in her head from the plane crash, but insists she can compete if she wears bangs. The ending of the book is explosive, in the truest sense of the word, but along the way Bray makes strong statements about pop culture, the media, and pageant girls while writing a great dystopian fantasy. Ages 13 and up. 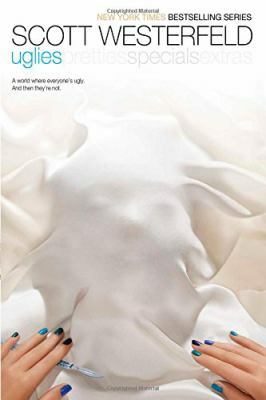 Before there was The Hunger Games, there was Uglies, Pretties, and Specials, a series of books set in the future where young people are automatically given a total makeover for their sixteenth birthday. Tally is anxiously awaiting the transformation which will include extensive plastic surgery and a new life among pretty people like themselves. Seduced into exploring a renegade group that refuses to go through the transformation, Tally is forced to examine her life and her motivations for wanting to become something she is not. She also discovers that there are sinister implications to the reconstructive surgery that is planned for her, something that will change not only her appearance but also her mind. This series will take teens on a long exploration of a society of beautiful people with not-so-beautiful inner workings. Ages 12 to 18. Teaching our children the value of self-acceptance and the virtues of intelligence, exploration, and education instead of carefully crafted appearances is a message that should be conveyed every day, and these books and sites are a great start teaching young people, and especially girls, their own self-worth.